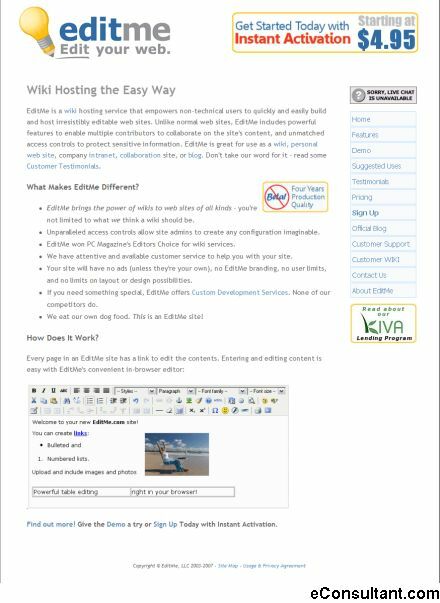 Description : EditMe is a wiki hosting service that empowers non-technical users to quickly and easily build and host irresistibly editable web sites. EditMe is great for use as a wiki, personal web site, company intranet, collaboration site, or blog. Don’t take our word for it – read some Customer Testimonials.